“Everywhere you look, everywhere you go, there’s a heart (there’s a heart), a hand to hold onto!” You know how the Full House theme song lyrics go, right? Clearly so does the cast, who you might say internalized those words along the way. 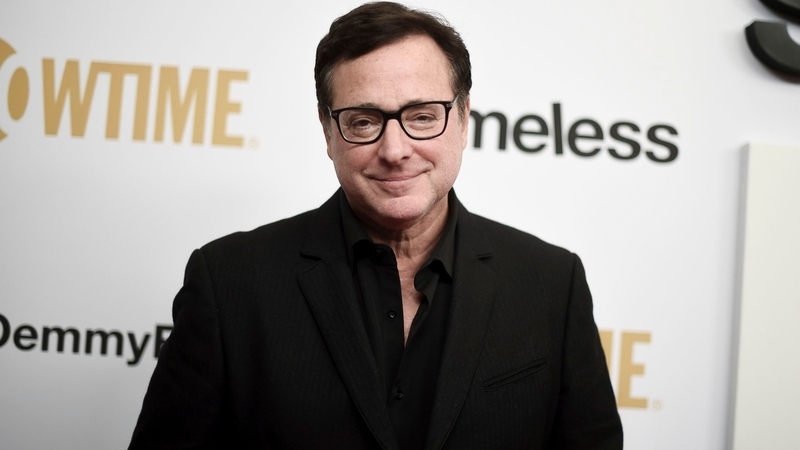 Because on Thursday, Bob Saget spoke out amid Lori Loughlin’s college admissions scandal — making him the latest in a growing line of Full House cast members who seem to be offering support to their beleaguered co-star. It’s unclear at this point how much contact Loughlin may or may not have with her Full House and Fuller House co-stars. On Friday, she and husband Mossimo Giannulli were photographed clearly for the first time since being indicted in the college admissions scandal. The couple is among 50 affluent parents accused of paying bribes in order to get their children accepted into elite universities. Loughlin and Giannulli allegedly agreed to shell out $500,000 to have their daughters Olivia Jade, 19, and Isabella Rose, 20, designated as crew recruits to the University of Southern California — despite the fact they did not participate in crew. Judging by the comments coming from Saget and the rest of the Full House camp, though, Loughlin still has a few “real friends” in her corner. And she’s likely going to need them, especially once Wednesday’s court hearing reveals what repercussions the family faces.